Another traditional Christmas dish from Bologna with an ‘official’ recipe is Certosino or Pan Speziale (“spicy bread”). I had never made it before, but I really liked it and will certainly make it again. I’ve checked other online recipes in Italian to find out that the leavening agent should be baking soda (called “bicarbonato” in Italian). I found it a bit strange to add this in the beginning of the recipe, but I did it anyway. Note added February 10, 2013: I have since made Certosino again, but using baking powder rather than baking soda and adding it together with the flour rather than in the beginning. 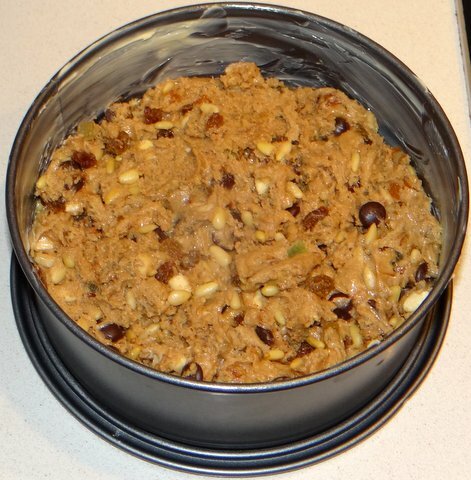 The picture of the finished certosino in this recipe are now from that second time I made it and I have also corrected the instructions below accordingly. This is supposed to be a dense cake, but it should not look collapsed as happened when I used baking soda and added it at the same time as the spices. Soak the raisins in 3 Tbsp marsala (or water) for 20 minutes. 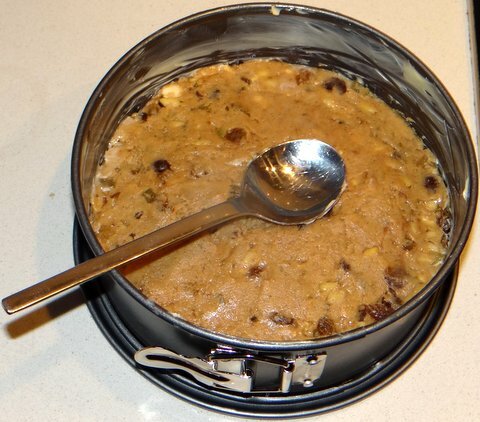 Combine honey, sugar, spices, butter and the soaking fluid from the raisins in a saucepan. Heat up and stir until homogeneous over medium heat. Take off the heat as soon as it’s mixed. The heating is only to enable mixing in the honey, so there is no need to actually cook the mixture. Chop the almonds, reserving 1/3 of the almonds whole for decoration. Also reserve 1/3 of the candied peel. 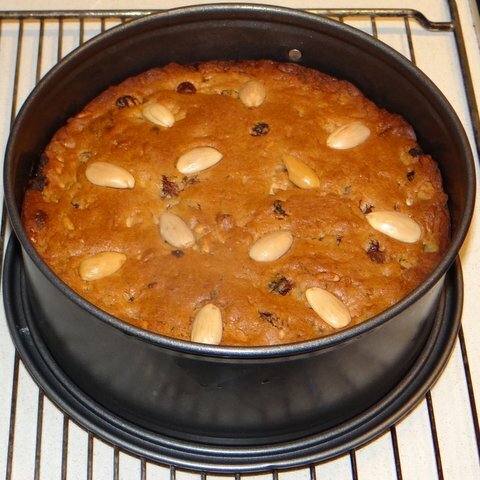 Combine the remaining almonds and candied peel with the chocolate, pine nuts, and raisins. Stir to mix until homogenous. Mix the baking soda into the flour and mix. Add the flour to the pan in 3 to 4 parts and stir vigorously until homogeneous. The dough will be hard to stir. Add the nut and fruit mixture. Butter a cake pan and add the mixture. Even out the top with the back of a wetted spoon. Decorate with reserved almonds and candied peel. Bake for 30-40 minutes at 180C/350F. The fruit cake keeps well, just wrap it in aluminum foil. It won’t be a surprise that also this cake goes well with Passito di Pantelleria or other “passiti” (dessert wines from dried grapes) from the south of Italy. A fortified moscato from Spain or Portugal (moscatel) would also do nicely. How come you don’t look chubbier??? Mostly moderation, and genetics for a bit. I’ve had the same weight (+/- 2 lbs) for 20 years now, but I do eat less than 20 years ago. I don’t eat very differently though, just less. I have a very simple rule: if something has a lot of calories and/or fat, it better taste REAL good 🙂 And I won’t have a lot of it. I don’t restrict what I eat, only how much. So I eat cheese and chocolate almost every day, but just tiny bits. Think one square of dark chocolate. Or one 1″ cube of (very good artisan) cheese. Or one 1/2″ slice of the certosino. It is very different indeed. Panettone is bread instead of cake, made with yeast and rising. Certosino is more similar to panforte. I always say that you don’t have to stay away entirely from baked goods (or any other food), just eat less of it. Sadly, I’ve discovered that even my SKINNY versions of baked treats contain a goodly number of calories. Until I’m back on track, I’ll have to forego. 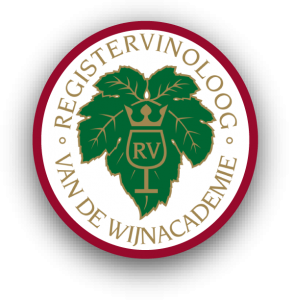 The hardest thing is to limit the wine – like none during the first 17 days. Moderation is key! I find to match my moderation of eating I have to exercise more. LOL I enjoy food and it is hard to give that up! And Italian cooking is not something to give up. Exactly! And since I hate to exercise, moderation is essential. I’d be in big trouble, ie I’d be big!, if I didn’t exercise. 🙂 Once I start to exercise I love it, it’s getting the motivation to start. First, Stefan, excellent looking cake and great history lesson. Second, On the moderation thing, I work out like a mad thing to allow me eat what I like and in the quantities I like. For example, a cycle in the Wicklow mountains can burn between 2,000 and 3,000 calories (I have a post planned on the subject). Third, I will revert on that other matter when I know about my travel arrangements for the month. I am lucky enough to be crossing the big pond at some stage. I hate working out (and so does Kees), that’s why we stick to the moderation and so far we’ve been able to get away with it. I have always hated the damned thing but now I might need to revisit it as I haven’t had it in two decades at least. It’s not supposed to rise high and it’s usually baked in rounds and yes, it is extremely dense. Sort of like a brick you could hurt somebody with! I never used to like cakes with candied fruit when I was young either. I didn’t have a round shape of the proper size. Next time I’ll double the recipe and make a round one. I already thought it’s supposed to be dense, but why then is baking soda included at all? Do you know perhaps? Strangely enough, honey is the acidic ingredient in this cake. I didn’t know this either: honey on average has a pH of 3.9. I actually still use baking soda or powder sometimes for cooking vegetables or meat, although (in the case of vegetables) the color is what I’m after and not the tenderness. Thanks, John. It is quite dense but it’s supposed to be like that and has great flavor. I never used to like candied fruit, but it has grown on me. I suppose you could substitute it with dried figs, apricots, and the like. I am compelled to write to tell you how well your certosino recipe worked out. Baking Certosino for Christmas has become a tradition at our house. It started with Nigella’s recipe which led to forays on the internet for various family recipes and on to ordering a Pan Spezial from Billy in Bologna. So far your version has been the most satisfying, spicy, rich, and the perfect density. I believe my search is over! Thanks. Dear Jamie, that is great to hear! Thanks for taking the time to let me know. 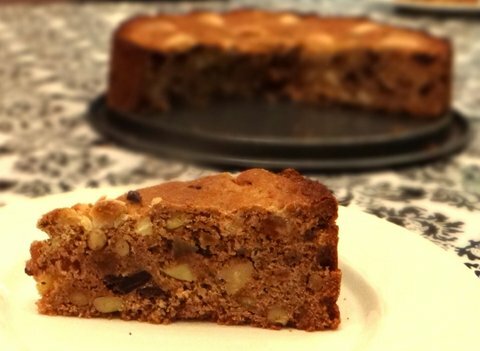 I hope you don’t mind my asking–but I like to make my fruitcakes early… You wrote that the Certosino “keeps well, just wrap it in aluminum foil.” Can you tell me how long it keeps? Thank you for sharing this fabulous recipe, by the way! Hi Emilia, I don’t have a lot of experience as it is so delicious we finish it within a few weeks or sooner. If you wrap it in aluminum foil AND put it in the refrigerator, I’m sure it will keep for at least a month. Thanks for your answer, Stefan! 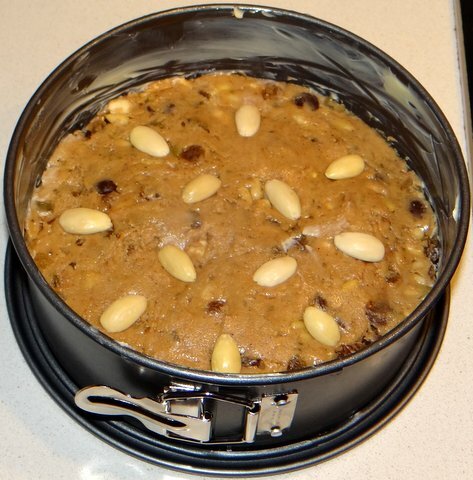 I like to bake Victorian fruitcakes–with dried fruits instead of peel–and wrap them in cheesecloth soaked in booze. I also soak the fruits in booze for at least one day. They last a long time with this method. Your cake sounds enticing and I must try it. With the booze it would last outside of the fridge. Let me know how it turns out. Just made the cake and unmolded; I baked it in a very small pan. Smelled divine while baking–and it took way longer than yours, but my pan was light aluminum… The dough was almost the consistence of bread, very thick. I can’t wait to try it tomorrow, for Thanksgiving. The dough is very thick. Hope you’ll like it. Happy Thanksgiving! Hi Stefan. I’d like to try your recipe for Christmas but will have to do it without alcohol as I’m pregnant. How long in advance should I make it? One week or would 2-3 days be better? Thanks! Hi Anne, a week or 2-3 days in advance are both fine as it keeps very well. As for the alcohol, the marsala (or rum) does add some additional flavor. You could burn off the alcohol by putting the marsala (or rum) in a saucepan, bringing it to a simmer, and then carefully lighting the fumes with a match. 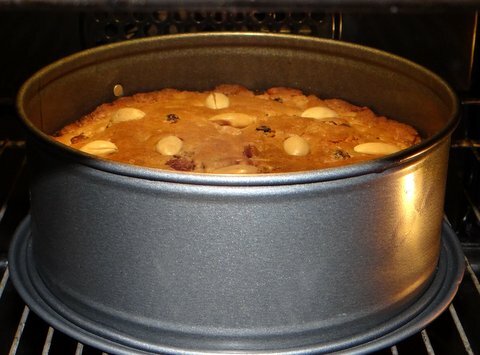 As soon as the alcohol has stopped burning, turn off the heat and put the raisins in the warm liquid. This way, it will be safe to give to both children and pregnant women. As part of the booze will evaporate this way, it is a good idea to start with a bit more than indicated in the recipe. In any case, I’d love to hear how it turns out! At 23C it will evaporate very very slowly. 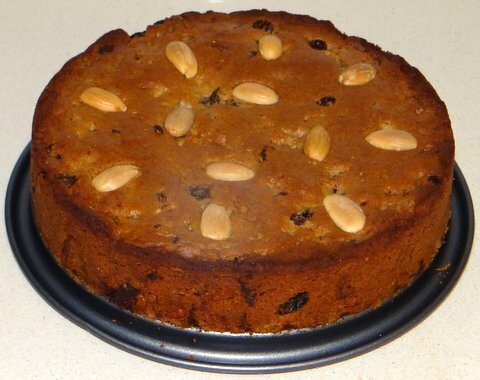 Stefan, my point was simply that the 3 tablespoons of Marsala will have evaporated by the time it is finished baking at 350 F or 180 C. Therefore, soaking the fruits in Marsala will only leave its taste in the cake. I wish you and your family a blessed Christmas and a wonderful 2016. Thanks for your advice Stephen. I’ll let you know how it comes out. Merry Christmas to you.